"We are so proud of Lilly. And I am so grateful for all I have learned from you. That is not lip service, it's the genuine truth. While visiting our son's college campus, we followed all advice to help shy Lilly feel more secure, and amazingly she was wagging her tail the entire time. We reassured her and set her up for success and she was fine. Like really fine! This was a first. So grateful that she can now do really well in these situations. Thank u!" "Training pays off so often in day-to-day living, but when a true emergency happens, good training can be a matter of life and death. When my 5 month old puppy was accidentally let out the front door by a visitor and went running down the street toward a busy intersection, I yelled “Stella come!” and she immediately turned and sprinted back to me as fast as her little legs would carry her without any hesitation. We praised and praised and treated her once she was safely back in the house. I’m so thankful for the training you’ve given us both! THANK YOU!!!" "I just wanted to let you know how grateful I am that I found you. Judy does a wonderful job with our pups. 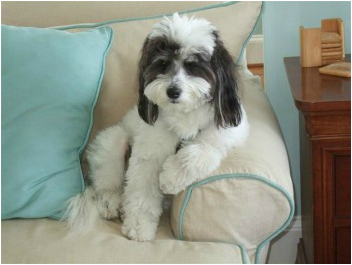 She gives us lots of great advice and teaches us so much about handling our dogs behavior. Our dogs changed so much since we have started the sessions with her. We tried other dog training classes and dog trainers earlier but nothing was even close to this experience with Judy. Our dogs love her and I am always surprised how well they behave when she is with them. Judy, we are endlessly grateful to you! You make our pups' behavior better and our life easier!" "Jill Beitel has helped us SO MUCH with our GSD Burger! At first, as a new puppy, our goal was a well-behaved, well-mannered family dog. We quickly learned how reactive and energetic our Burger was, and that we needed more than just simple good manners. We needed serious tips & techniques on how to handle him. Jill gave us that & more. She is generous with experience and information and is always there to help and provide encouragement. The progress we have made has been because of the tools that she has taught us & Burger. She is a valuable resource! Thank you Jill!" "Thank you, Jill, for your words of praise and pride. We are grateful to have worked with you. You exhibit passion in what you do, and it is contagious." "We consider ourselves lucky to have found Jill. After adopting two littermates at the same time, we quickly realized we were in over our heads! Jill has been a consistent source of guidance for both us and the dogs. We have participated in both private and group sessions; her positive training techniques have been inspiring and successful. A year later, she continues to be a resource for training, advice, and daycare for our pups. Thanks, Jill!" "Since the first day I started working with Jill I’ve been saying "getting a dog is amazing...but working with Jill --Priceless!" It is amazing the difference training makes in living with and caring for a dog. The safety training and the words of advice Jill gave could never be replaced. Knowing your dog will not run out the door when you open it –being able to count on your dog to come when called-- having a dog that is housetrained, confident, and happy with other dogs—well, like I said...just priceless"
"We can't thank Jill enough for helping us train our energetic and enthusiastic puppy, Franklin. Her positive training methods are easy for both owner and dog to understand. Anytime we struggled with an unwanted behavior, Jill always had an innovative suggestion to channel Franklin toward a better one. Her love of training dogs is apparent and the great results we've had with Franklin are proof positive they work!" "When the AKC Evaluator of our canine good citizen test said, “you’ve got a real dynamo on your hands” referring to my 18-mo. old Labrador Mattie, I laughed in agreement as we were making our way through the exam. When we passed the test she said, “it seems you’ve got dynamo under control!” I smiled with pride and said, “thanks to Jill I do”. So thank you Jill for teaching me how to communicate with my favorite black lab!" "We were very nervous when we first got our new puppy and immediately called Jill who I had been referred to by multiple people who had themselves used her with their dogs. Jill helped us understand the importance of socializing Louisa (my pup) and getting her off to the best start with training. Training was also a great way for me to bond with Louisa and positive reinforcement made it so fun for both of us. Louisa is now a year old and people can't believe how well behaved she is. 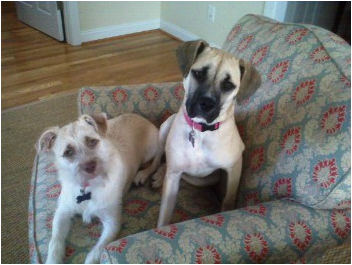 We are now thinking about a second dog and Jill will be one of our first phone calls when our little ones come home." "Jill immediately identified that my two year old rescue dog, Lucy, had never been properly socialized and designed a training program that taught us a game plan for meeting people, dogs and unexpected situations. With vast experience, compassion and patience, Jill's training provided impressive results. Lucy and I now share trust and confidence in knowing that we both know exactly what to do when in a new place, and when passing strangers or even unfamiliar dogs." 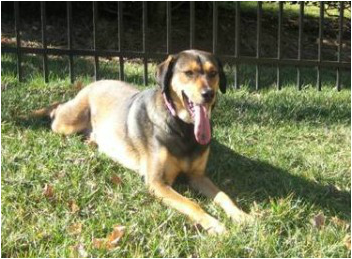 "Jill has taught us fun, safety and good dog manners. All you need to tell her is what kind of life you live and she will help adapt the dog to your life not you to the dog. She is very talented at what she does." "We had to not only train Ginger, who was 18 months when we adopted her, but also untrain and re-train some of her habits. Our children are 5, 3, and 20 months. Jill suggested we incorporate the kids into the training and make it fun! This helped them to get used to her and allowed Ginger to understand where she stood in the family hierarchy." "Jill Beitel is a wonderful conscientious trainer. We value her commitment to positive reinforcement-based training and holistic dog care. She has great patience in training the owners!" 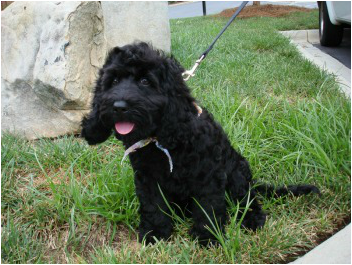 "Jill helped us train Cassie, our goldendoodle, by making the visits fun and by including the entire family. Cassie is such a great dog that people often ask me how they can get a dog just like her. Thanks Jill." 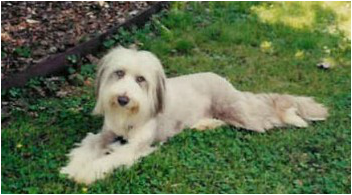 "I hired Jill to help me with a temperamental Bearded Collie. She had bitten several times and we learned from Jill that this dog had decided she was head of the household. With Jill's education and insights, we are able to manage her now without fear. Jill is generous with her information and alot of fun to work with. 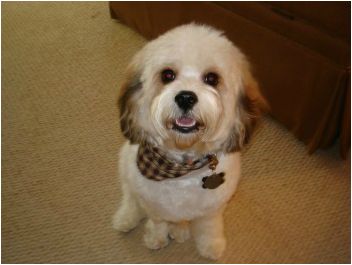 I am a professional groomer and have recommended Jill to many clients with dogs of all ages; they are just as thrilled with her as we were." 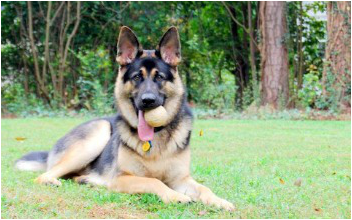 "Jill Beitel is the best dog trainer I've ever had, and I have met and used quite a few. Jill has a family and 4 dogs of her own and "gets" what it's like to be a busy mom and have a family and a dog to train. Jill is so respectful of my children and teaching them how to work with our dog, and she is excellent at problem-solving as well as working with your dog from the time he/she is a puppy. 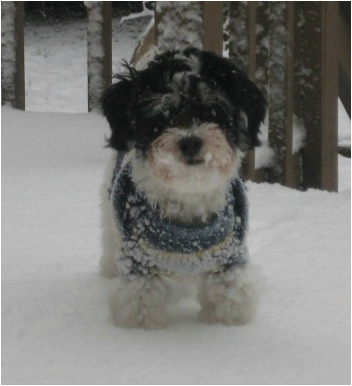 I trust her implicitly with my dog and know he is always in great and loving care." "We were extremely pleased with our training experience with Jill. We appreciated her flexibility in scheduling appointments, the way she included our children in the training process and her positive training techniques. We learned so much and have continued to apply what we learned long after our training sessions ended." "Working with Jill has really been an extraordinary experience. Not only has she taken the time to train our puppy, but she has really spent time working with our entire family. She has offered us consistent guidance and practical solutions to many issues that have come up along the way. We were lucky to find her!" "We are ecstatic over Rocky’s (and our!) training! Jill really made the difference for us." "Our rescue dog Maggie really needed to learn to come when called, and some manners! Jill's methods of positive reinforcement fit right in with our philosophy that Maggie is a part of our family and should be treated with love and respect. Maggie now uses great self-control at the front door, and eagerly comes when called every time. I highly recommend Jill to everyone. She is great at what she does, and makes training fun for dogs AND people!" "We hired Jill to train our 8 month old golden retriever puppy. It was amazing how quickly Bear caught on to Jill's commands. She always showed patience and a true desire for Bear to learn. I would recommend Jill to anyone; she goes above and beyond any training we've heard of or experienced."